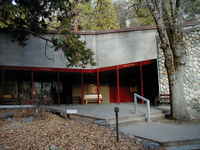 Admission: Fee required to enter park. From the official marker plaque. 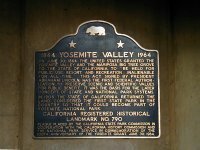 On June 30, 1864, in an act signed by President Abraham Lincoln, the United States granted the Yosemite Valley and the Mariposa Big Tree Grove to the State of California to be "held for public use, resort, and recreation . . . inalienable for all time." This, the first federal authorization to preserve scenic and scientific values for public benefit, was the basis for the later concept of state and national park systems. 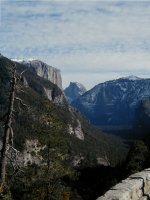 In 1906 the State of California returned the land, condisered the first state park in the county, so that it could become part of Yosemite National Park.